Let’s get started by building our first webhook handler. Webhooks are HTTP POST requests made to the URL you provided, with a JSON body. 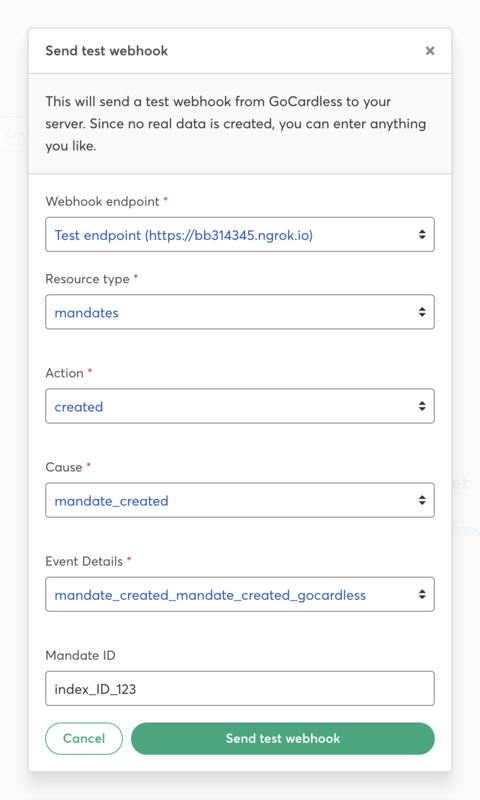 Select the webhook endpoint you created earlier, set the Resource type of mandates and the action to cancelled. You can set the cause and event details however you like. Then, click “Send test web hook”. You can see a full list of the possible combinations in the reference docs. // should make a record to avoid accidentally processing the same one twice. # response rather than using views, as one would usually. Mandate index_ID_123 has been cancelled! 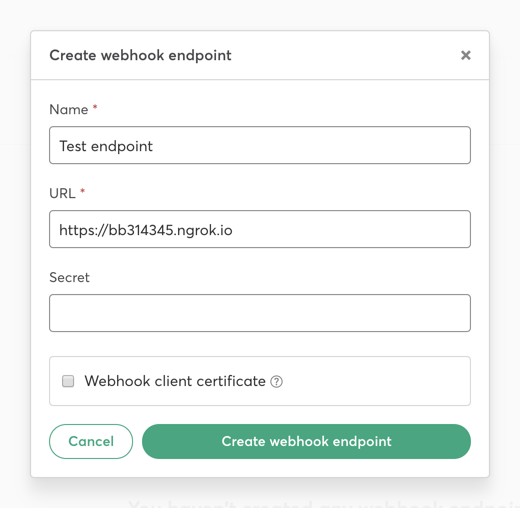 We’ll send webhooks exactly like this when real events happen in your account. In the sandbox, to make integrating as easy as possible, we provide scenario simulators which allow you to manually trigger certain cases (like a customer cancelling their mandate or a payment failing due to insufficient funds) from the Dashboard so you can test how your integration responds. You can add support for as many differ resource_types and actions as you like, and make use of all of the other data we give you with events.